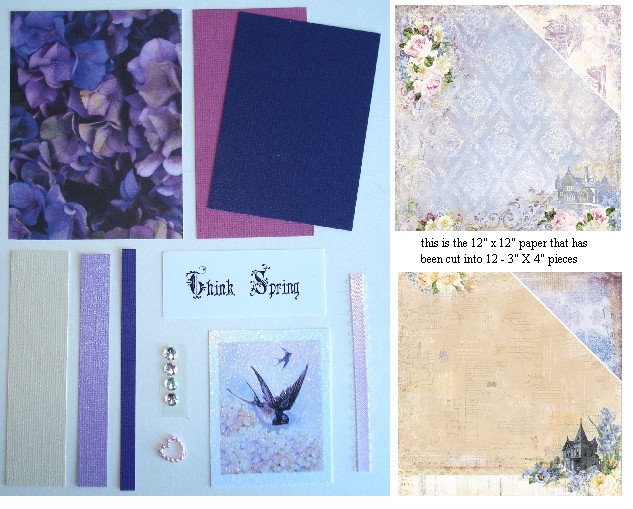 Artist Trading Card Kit of the Month - November 2017 Thanksgiving. Here is a list of the kit contents that you will receive: 1 - 2 1/2 in. x 3 1/2 in. ATC cut from Hot Off the Press single sided paper - Fall Leaves 1 - 2 1/2 in. x 3 1/2 in. ATC cut from Core-Dinations paper - Orange. This is great for sanding or distressing to show a lighter orange core color, 1 - 2 1/4 in. x 3 1/4 in. Core'dinations Shimmer paper - Copper, 1 - 1 in. x 4 in. Bazzill Embossed Polka Dot Paper - Festive, 1 - 1/4 in. x 4 in. Bazzill Cardstock - Orange, 1 - 1/4 in. x 4 in. Bazzill Cardstock - Parakeet (green), 1 - 1/4 in. x 4 in. Bazzill Cardstock - Yellow, and 1 - 1/4 in. x 4 in. Core-dinations paper Cardstock - Chocolate. You will also receive a collage image of a young pilgrim boy with a cart full of Thanksgiving goodies. Great for fussy cutting! 1 - collage image of a beautiful colorful turkey. Great for fussy cutting! These images have been professionally printed for you, a word phrase printed on white paper "Give Thanks", 1 - piece of natural dried raffia grass ribbon 1 - 3/8 in. piece of rust colored velvet ribbon, 3 - Thanksgiving sequins - a pumpkin, an orange or gold turkey and a red detailed cornucopia, and an artist trading card sleeve.